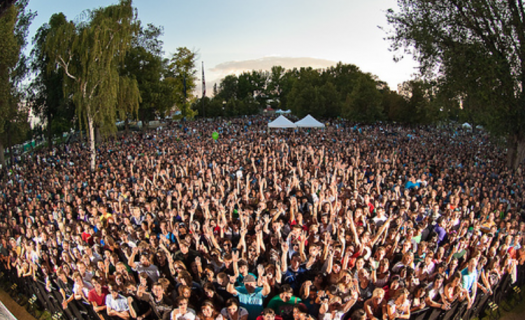 every summer, salt lake hosts the twilight concert series. they gear it towards, so most everyone likes it & goes. plus, it's only $5, so why wouldn't you want to go? i'm in utah for all of the shows, & the lineup is awesome. iron and wine, & m. ward. good. it's going to be awesome. so i looked them up & they all sound really cool. i also find her voice to be amazing.